No photos yet. If you have photos you'd like to share of Flying Flags, Contact Us. Visted Flying Flags Campground lately? We'd love to hear about your adventure. Did you find us useful? Did we forget something? Anything our community should know before heading out to Flying Flags? This is a large, very well run facility. The sites with hook ups are very close together, so if privacy is your thing go elsewhere. There is some shade and the grounds are beautifully maintained. There is a very large pool and kiddy pool. There are quite a few showers and they are kept very clean. There is a good restaurant on site. During the summer there are activities planned such as movie nights. There are also some “dry” sites along a usually dry river bed. They are more spread out and and are mostly shaded. There is much to do in the area. There are golf courses, about 70 wineries, a casino, and the Danish town of Solvang are all nearby. 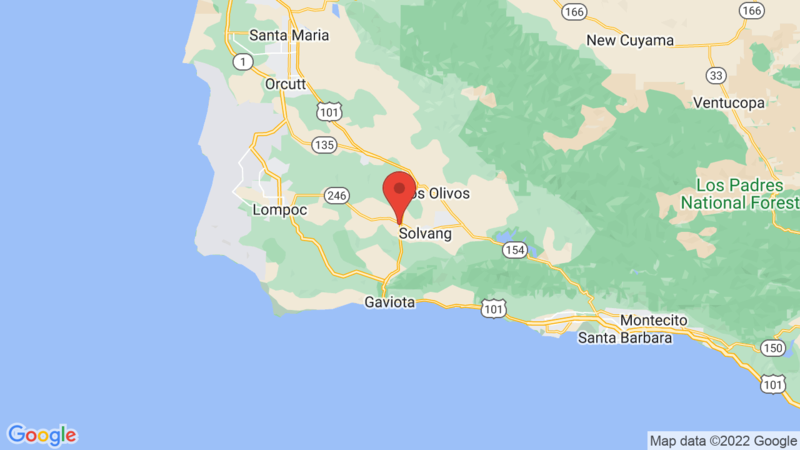 It is only about 15 minutes away from some beautiful beaches along the Gaviota coast. It’s also about an hour north of Santa Barbara.